My hope is that the memory of this event will serve as a constant reminder of the consequences of hatred and revenge. 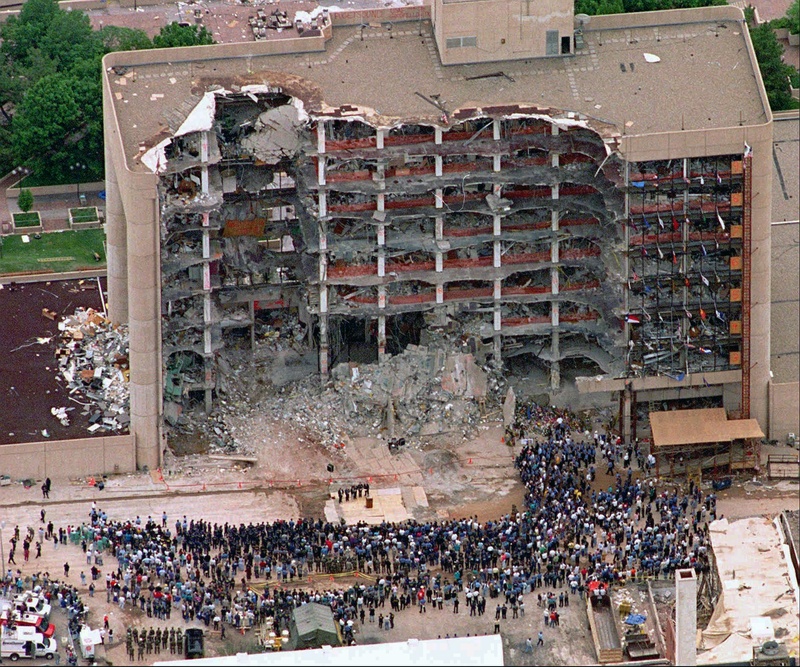 Twenty years ago today Timothy McVeigh drove up to the Alfred P. Murrah Federal Building in Oklahoma City with a truck full of explosives. When the bomb detonated it killed 168 people, 19 of which were children. Before 9/11 this was the single most deadly act of terrorism in the United States. When this happened, I was getting ready to graduate from ASU with my B.S. What should have been an exciting time suddenly became a time of despair. I had already become cynical as a result of the hate-filled radio shows and the nasty politics that I had recently become aware of and I was certain that there was a connection between the hate mongering and this act of terror. McVeigh’s hatred of the federal government was not the result of just the blunder at Waco, where David Koresh and many of his followers were killed, it was just the final straw in a series perceived threats. He was part of a culture that saw the world divided between themselves with their guns and the government that was trying to take their guns away. In his hatred McVeigh couldn’t see that the “evil” federal government was made up of average Americans just trying to live their lives. Remembering the Oklahoma City bombing 20 years later – Yahoo News.